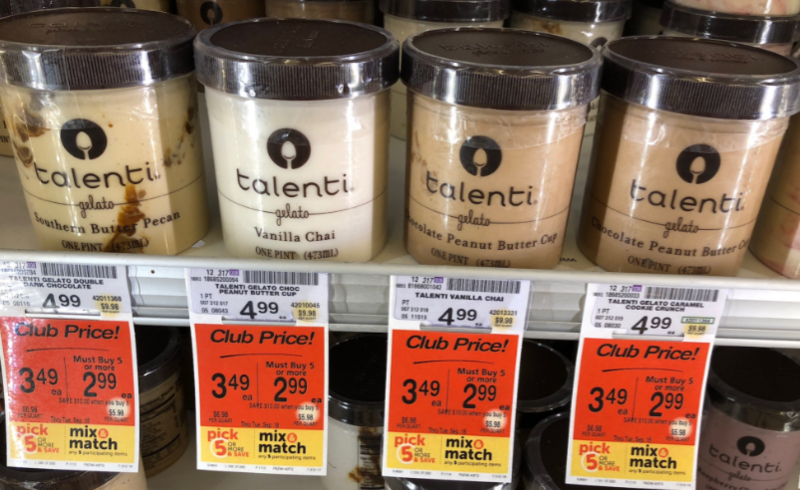 WOW oh wow – this is A Super Hot deal on Talenti Gelato and Sorbettos at Safeway! 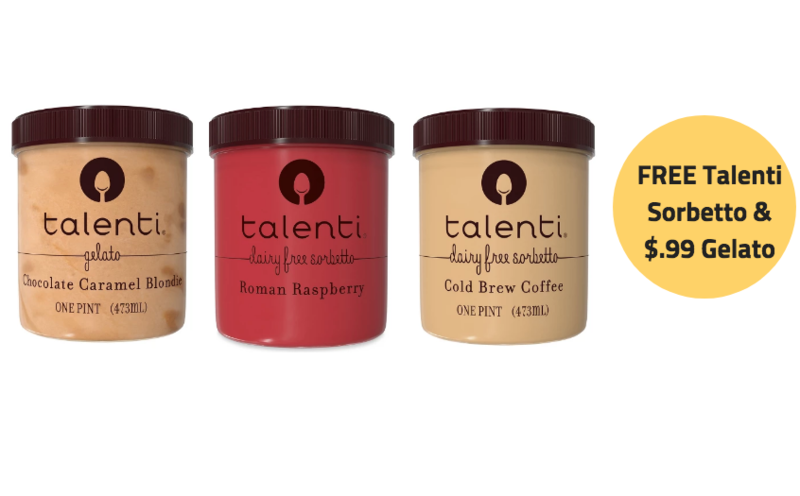 There are 3 HOT new Talenti Gelato and Sorbetto coupons available AND a hot new Talenti Catalina for the Sorbettos. Pair all of this with a low sale price at Safeway, and you can get 3 jars of Talenti Sorbetto for FREE or if you don’t want the Sorbettos, you can get the Gelatos for just $.99! This is amazing. normally $4.99, you’ll save $4 a pint, which is a 80% savings on the gelatos and 100% savings on the Sorbettos. 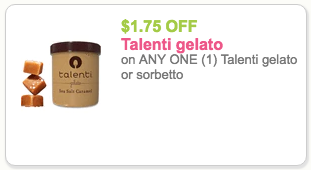 If you want to repeat, you can print a 2nd copy of the $1.75 off Talenti Coupon and load the $1.75 Talenti Just for U digital coupon and when you buy 3 in a separate transaction from the first, you’ll pay just $.65 each for the Sorbettos after the catalina!! Ah, just noticed that Catalina was for Talenti Sorbetto, not the Gelato. Duh… My bad. Should you ever have issues with a Catalina in the future, you can fill out this form or contact the number listed on the website. Have a great day Arthur and thank you for following us. We appreciate you! This sounds like a spectacular deal, but it did not quite work out that way for me. At first Safeway I bought 5x Talenti and got the $2.99 pick 5 price for each, then the just4U digital coupons for $4.00/2 and $1.75/1 came off. But when I tried to use a printed $4.00/2 coupon the Safeway computer system refused to accept the coupon. Management overrode. But NO catalina printed at all (and Catalina machine was working because another store advert printed on the machine). At second Safeway I bought 4x Talenti more and got the $2.99 pick 5 price for each (I also bought another pick 5 product), and then used a printed $4.00/2, and tried to use 2x $1.75/1 printed coupons, but only 1 would be accepted. Management again overrode. But, again, NO Catalina printed at all (and again Catalina machine was working). The printed coupons all state LIMIT OF 2 IDENTICAL COUPONS and it appears that all the coupons, digital and paper, $4.00/2 and $1.75/1, are linked where no more than 2 of them of any type are allowed by the Safeway computer software. This should NOT happen because each of the digital and printed coupons have different coupon #s and thus are NOT identical coupons. I have no idea what the problem with the Catalinas is. Because sometimes a Catalina can take some time to print AFTER you complete checkout, I stayed at checkout for several minutes both times and still nothing printed.